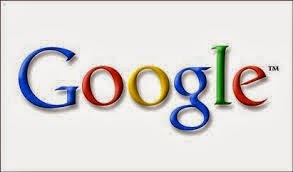 Your Prospect Has “Googled” Your Company – Now What? 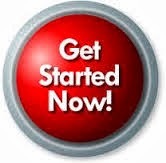 You’re working with a prospect who is very motivated, enthusiastic and interested in USANA. You’ve answered all of their questions, and they’ve indicated they may be ready to sign up. You schedule a follow-up call to enroll them. However, in the meantime, your prospect (or a well-meaning friend or spouse) has decided to do some “research” on USANA by doing a “Google search”. If anyone digs deep enough and hard enough, they can discover negative opinions, articles or even “news items” about USANA (or anything else, for that matter.) Every company, person or cause has its detractors. Guaranteed! The internet has made it easier than ever for those detractors to make their voices heard. Since your prospect doesn’t yet have all the pertinent facts relative to any given issue, and their belief level regarding USANA has not yet been established, their natural reaction is to dismiss USANA as a viable option for them. Remember: A confused mind always says “No”. When you call back, your prospect tells you they are no longer interested because of “something they read on the internet”. First of all, what you should NOT do is dismiss or minimize your prospect’s concerns ( i.e., “That’s not true.”; “Do you always believe everything you read on the internet?”; “I don’t deal with negative thoughts.”, etc. ), but rather address them head-on. Remember, our business is all about our prospects and what they need, want or don’t want in their lives. 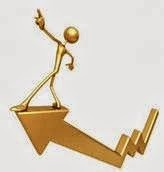 While you know that what the prospect has discovered is not true, their concern is very real to them and they will not move forward with you and USANA unless and until the concern is addressed to their satisfaction. Tell the prospect that you appreciate their concern, and ask them what the specific issue is. Don’t accept generalities such as “I heard USANA is a scam” or “I read that USANA is a bad company.” Those are simply opinions with no factual grounds. Find out the specifics behind the concern, and keep the conversation focused on facts, and not emotion. If you are familiar with the issue, address it immediately. If you are not familiar with it, tell your prospect that you will investigate the matter and get back to them with your findings. Depending on the nature of the subject, you may want to start by contacting one of your upline leaders for guidance. Other options may include the USANA Legal/Compliance Departments. Then be sure to get back to your prospect with your findings as soon as possible. The best way to be able to deal with these situations is to anticipate ahead of time that they will come up from time to time, and keep informed about your company and your business. I am NOT suggesting that you waste your time scouring the internet for any possible negative items about USANA. (Remember that clicking on negative items only serves to help increase their visibility on the search engines.) But rather, keep informed – and stay informed - on issues as they arise. You should also keep up to date with all of USANA’s news releases. 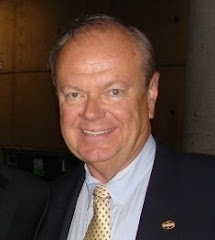 You can find them at www.usanahealthsciences.com under “Investor Relations” and “News Releases”. 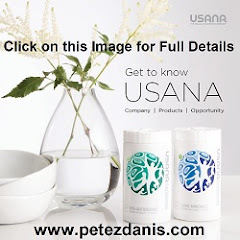 Here’s the direct link: USANA News Releases This link allows you to access all USANA news releases dating back to January, 2009. I would also recommend that you share this link with your prospects, especially those with concerns. This will help insure that they have accurate, factual information about USANA to include in their decision making. Understand that you may not be able to satisfy every prospect’s concerns. Some people just choose to focus on negatives, whether they are real or imaginary. However, you owe it to your prospect, and yourself, to make sure that they have all the facts necessary to allow them to make an informed decision. In addition to helping prevent neural tube defects, folic acid status during pregnancy may also play a role in emotional problems in children years after they are born. Folate is a water soluble B vitamin that plays a number of important roles in the body. Most notably, it is necessary in the formation of DNA and RNA. It is well known that folic acid plays a critical role in neurodevelopment of the fetus, and as such the folic acid recommendation for pregnant women is 600µg per day. A group of researchers was also curious about what association may exist between maternal folate status and emotional and behavioral problems as well. The researchers recorded plasma folate concentrations and folic acid supplement in 4900 mothers, during the early stages of pregnancy. At three years of age they were able to follow up with 3209 of the children and include their data for analysis. The mothers of each of these children were asked to fill out a child behavior checklist (CBCL). A CBCL is a parent-reported questionnaire used to measure emotional and behavioral problems. Analysis of the CBCLs showed that children whose mothers had a folate deficiency during their pregnancy were at a higher risk for emotional problems, the same results were seen for folic acid supplementation as well. The CBCL also tested for behavioral problems; however no correlation was seen between folate status and behavioral problems. This research gives another reason for mothers-to-be to begin folic acid supplementation as early as possible before and then during pregnancy. In addition to helping prevent neural tube defects, this research shows that folic acid supplementation may reduce the risk of emotional problems in children after birth. Steenweg-de Graaff J, Roza SJ, Steegers EA, et al. Maternal folate status in early pregnancy and child emotional and behavioral problems: the Generation R Study. The American Journal of Clinical Nutrition. 2012;95(6):1413-21. 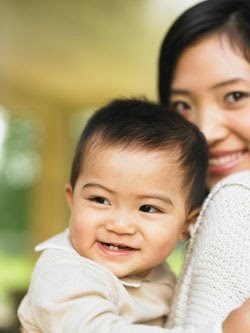 A new study has found that vitamin D supplementation may reduce the risk of recurrent ear infections in young children. Next to the common cold, ear infections are the most commonly diagnosed childhood illness with nearly 75% of children affected by three years of age. 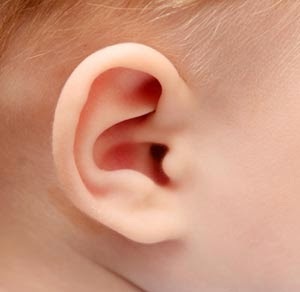 Current pediatric guidelines suggest that children under two years of age experiencing an acute ear infection should receive antibiotic therapy. In a recent study published in the Pediatric Infectious Disease Journal, researchers conducted a randomized study of 116 children with an average age of 34 months that were experiencing recurrent acute otitis media (AOM), also known as a middle ear infection. Recurrent disease was defined as three or more episodes in the six months prior to the study, or four or more episodes in the 12 months prior to the study. The majority of children had been breastfed for three months or more, and all had been vaccinated with the influenza vaccine, and most had received the other standard childhood vaccinations. Children were randomized to receive a daily oral dose of 1,000 IU of vitamin D or placebo for four months, and episodes of acute otitis media were monitored for six months. At six-month follow-up, serum vitamin D was significantly higher in those treated with supplements versus placebo. When compared to placebo, children who received the 1,000 IU of vitamin D had a significantly lower risk of experiencing one or more episodes of AOM, and the overall risk of uncomplicated AOM was significantly smaller in the Vitamin D group. The results of this study suggest that vitamin D levels should be checked in children with recurrent AOM, and that those children with low serum vitamin D could benefit from supplemental vitamin D as an effective and additional treatment for their condition. It is well known that adequate levels of vitamins, minerals and other nutrients are essential for optimal neural functioning. A significant percentage of individuals, including children, suffer from deficiencies in one or more vitamins or minerals. This study investigated whether daily supplementation with multivitamins could alter cognitive performance and mood in healthy children. The children underwent laboratory assessments of their cognitive performance and mood pre-dose and at 1 and 3 h post-dose on the first and last days of the trial. Assessments were also completed at home after 4 and 8 weeks at 3 hours post-dose. Cognitive performance was measured using a battery of laboratory assessments, which included tasks assessing mood and the speed and accuracy of attention and aspects of memory. Reference: Haskell CF et al. Cognitive and mood effects in healthy children during 12 weeks' supplementation with multi-vitamin/minerals. Br J Nutr 2008 Nov;100(5):1086-96. In 1906, Italian economist Vilfredo Pareto created a mathematical formula to describe the unequal distribution of wealth in his country, observing that twenty percent of the people owned eighty percent of the wealth. 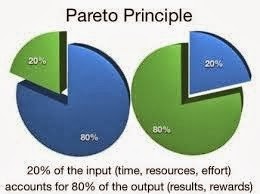 In the late 1940s, Dr. Joseph M. Juran inaccurately attributed the 80/20 Rule to Pareto, calling it Pareto's Principle. While it may be misnamed, Pareto's Principle or Pareto's Law as it is sometimes called, can be a very effective tool to help you build your USANA business effectively. The 80/20 Rule means that, in anything, a few (20 percent) are vital, and many, (80 percent) are trivial. Leaders know that 20 percent of the work (the first 10 percent and the last 10 percent) consume 80 percent of your time and resources. You can apply the 80/20 Rule to almost anything, from the science of management to the physical world. The value of the Pareto Principle is that it reminds you to focus on the 20 percent that matters. Of the things you do during your day, only 20 percent really matter. Those 20 percent produce 80 percent of your results. Identify and focus on those things. When the fire drills of the day begin to sap your time, remind yourself of the 20 percent you need to focus on. If something in the schedule has to slip, if something isn't going to get done, make sure it's not part of that 20 percent. Like the rest of life, the "80/20" rule applies to team members in our businesses: "20% of the people produce 80% of the results." As we have said so many times over, our job is to find "Motivated Entrepreneurs". It is my opinion that motivation comes from within, and we cannot, nor should we, "drag people across the finish line" if they are not willing to help themselves. Remember, if we have to drag people into the business, then we will likely have to drag them through the business. We, too, have found that 80% of the people in our business have done little, if anything, to build their business, or help themselves. However, the other 20% have helped us build an outstanding USANA business while, in turn, attaining all of their goals with USANA. The Procrastinators (16%) - They'll begin building their business "when they get around to it." They never find the time because they never make the time. The Know-It-Alls (16%) - These people don't take the time to "read the instructions" (The BDS, eApprentice, etc.). It's beneath them to take the time to learn from those who have built successful USANA businesses, even though the path to success is laid out for them right under their nose. They couldn't tell you the difference between BC, SVP, CVP and GSV. The Paralysis By Analysis Victims (16%) - These people are constantly in "getting ready to get ready" mode. They are always searching for that perfect "system" that will magically build their business for them. They'll never find it because it doesn't exist. Success in this business is disguised as “work”. The Tryers (16%) - They say that they will "try" the business to see how they do. Their mentality gives them permission to quit at the first sign of difficulty. You don't "try" a parachute jump. You either do it, or you don't. The same is true of your business. You either do it, or you don't. The Whiners (16%) - Constantly complaining about minor details which have no impact on their ability to succeed in USANA. They proclaim: "If only this were different or that were different, I know I could succeed in USANA." While these people are whining, there are thousands of people advancing in rank in USANA every month. Motivated Entrepreneurs (20%) - These people "get it". They are coachable and make the effort to learn about USANA. They then know that USANA's products and compensation plan are unequalled. They set their goals, they develop a plan to reach their goals, and they go on about their business to work their plan. They advance in their USANA business while helping other people do the same. They make things happen while the other 80% are wondering what happened. My advice: Don't try to motivate the unmotivated. Instead, use your time wisely to find, sponsor and train "Motivated Entrepreneurs". Pareto’s Principle, the “80/20 Rule”, should serve as a daily reminder to focus 80 percent of your time and energy on the 20 percent of your work, and your team, that is really important. Rather, work smart on the right things, and with the right people. A new study shows that supplementing with a combination of omega-3 fatty acids (EPA/DHA), vitamin C and vitamin E decreases oxidative stress and inflammation after heart surgery and reduces the incidence of atrial fibrillation. A type of heart arrhythmia known as atrial fibrillation is a significant complication following heart surgery. Oxidative stress has been suggested as a potential factor in the development of this condition. In a new study published in the Journal of the American College of Cardiology, researchers sought to assess whether antioxidant therapy would reduce the risk of post-operative atrial fibrillation. A total of 203 adult men and women scheduled to undergo cardiac surgery were randomized to receive a placebo or treatment with omega-3 fatty acids (2 gram/day EPA/DHA), vitamin C (1 gram/day), and vitamin E (400 IU/day). The EPA/DHA was given seven days prior to surgery, and the vitamins C and E two days prior. Treatment was continued until discharge from the hospital. Continuous ECG evaluation was conducted for several days after the surgery to detect any new onset atrial fibrillation. 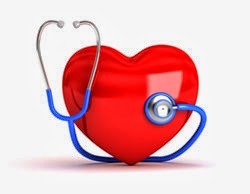 In addition to analysis of heart rhythm, biomarkers related to oxidative stress and inflammation were also measured. Post-operative atrial fibrillation occurred in 9.7% of the patients in the treatment group, and in 32% of the patients in the placebo group. In addition, patients in the placebo group experienced increased biomarkers of inflammation and oxidative stress when compared to the treatment group. The activity of antioxidant enzymes (catalase, superoxide dismutase, and glutathione peroxidase) was significantly higher in the group taking the antioxidant supplements. The placebo group had 3.62 times the risk of experiencing atrial fibrillation any time after surgery than the group supplemented with antioxidants. The results of this study show that short-term antioxidant supplementation improves patient outcomes after heart surgery by increasing the body’s antioxidant potential and reducing oxidative stress and inflammation.